We often ask of God, How much does he love me? But the relevant question is not how much God loves but when he loves. Romans 5:8 tells us that God loves us while we were helpless, ungodly, sinner, and enemies. The word of the Lord came to his prophet long before the Ninevites had any thought of repenting. This is what infuriated Jonah, why he ran from God, and why he remained angry through to the end of the book. How could God reach out to such blatant sinners? There is such a thing as resistance to grace. The counterintuitive truth is that grace, at its heart, is an indictment and proof of human depravity. I want to contribute; I need to contribute. If I cannot, what does that say about me? Grace is embarrassing because it is our last and only hope. 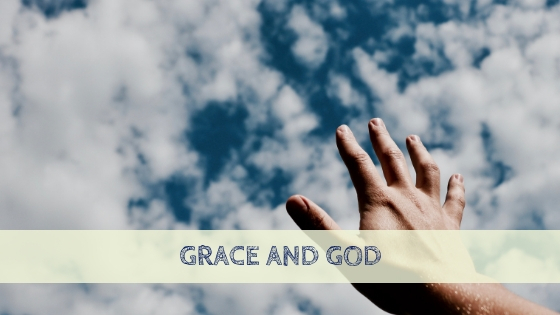 Grace is not only warm and fuzzy but it is also the terrifying and transformative power of God. We shun grace because grace, in the end, kills us. Grace is also the persistent widow in our lives who is constantly knocking on life’s door, asking to be invited in. And persistence beats resistance. God loved us then; he loves us now; and he will love us to the end. Dear church planter, what is keeping you from humbling yourself under God’s mighty hand? He wants to lift you up, vindicate you, and set you apart for his own pleasure and purpose. Go to God again and again, ask and receive, knock and invite Jesus into your daily grind of life and ministry. God, I confess that it is very difficult for me to receive well and often. Please win me over. Amen.